FORTUNA, Calif. – Colt Oder only thought he’d been to the northern reaches of his home-state before. “I’ve been to San Francisco, but another four or five hours further and I wasn’t sure that I’d still be in California,” he said. 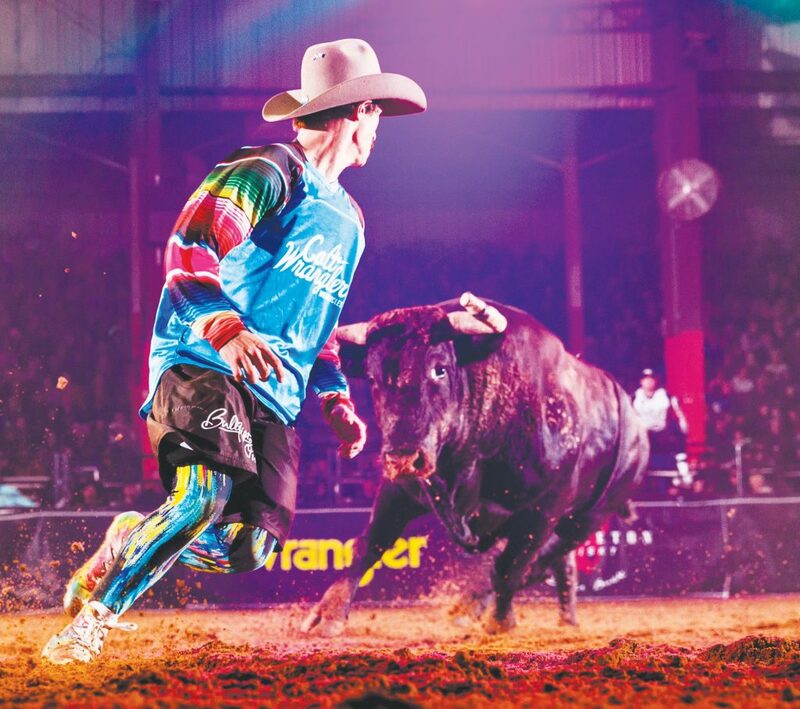 Raised in the southern California town of Moorpark, Oder found true north on Friday when he competed in the Bullfighters Only stand-alone event in Fortuna. Not only was it his first time competing among the Sequoia trees and rowdy fans that Fortuna is known for, he also walked away as the event champion. “I had a pretty weak first round and didn’t think I was going to make it out, but the cards played in my favor and I made the short round,” said Oder, who won his opening round with a 79-point fight, then put together an 86-point bout with Costa Fighting Bulls’ Little Foot to claim the top prize and $6,000. Oder was joined in the Hooey Championship Round by the other three of the BFO’s most promising rookies: Alex McWilliams of Paso Robles, Calif.; Tucker Lane of Oak Grove, Mo. ; and Chance Moorman of Lytle, Texas. “I fought Little Foot last year in Lewiston (Idaho), and I didn’t capitalize on it,” said Oder, who also scored his first BFO win in Crosby, Texas, earlier this year. “When I got back to the short round here and I had Little Foot, I knew I had a good opportunity to make up for it. The victory propels the California bullfighter ahead in the Pendleton Whisky World Standings with $16,400. The recent windfall should ensure Oder’s berth into the 2018 BFO Las Vegas Championship, held annually at Tropicana Hotel & Casino and featuring the biggest prize money in the game. Round 1: 1. Alex McWilliams, 82.5 points; 2. Miles Barry, 79; 3. Kris Furr, 0. Round 2: 1. Tucker Lane, 85 points; 2. Knox Dunn, 81; 3. Seth Wilson, 0. Round 3: 1. Chance Moorman, 87 points; 2. Justin Ward, 84.5; 3. Justin Josey, 76. Round 4: 1. Colt Oder, 79 points; 2. Beau Schueth, 77.5; 3. Eli Sharkey, 77. Championship Round: 1. Colt Oder, 86 points; 2. Chance Moorman, 84; 3. Tucker Lane, 82; 4. Alex McWilliams, 0.